The re-election of Muhammadu Buhari as Nigeria’s president may not have come as much of a surprise to many Nigerians, but there have been some major upsets in the parliamentary polls. Most shocking has been the collapse of some powerful “godfathers”, who use money and influence to win support for themselves and to sponsor their preferred candidates in elections. Defectors, those who switched sides between the two main parties ahead of the polls, have also fared badly. The defeat of the third-most powerful political office holder in the country has to be the biggest upset. 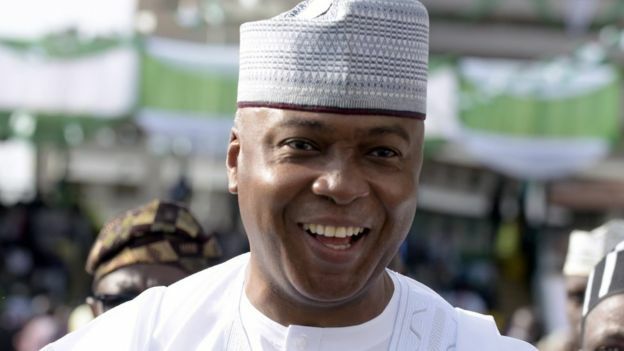 Not only is the 56-year-old the current senate president, but he was also the campaign manager for the opposition People’s Democratic Party (PDP). There is no love lost between Bukola Saraki and the president, who initiated a corruption inquiry against him. The Supreme Court cleared him of the charges last July – and the next month he defected from the ruling All Progressive Congress (APC). 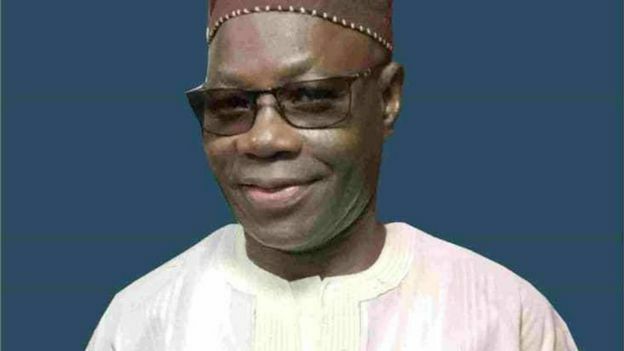 He had been seeking re-election to the senate to represent Kwara Central, but the APC’s Ibrahim Oloriegbe clinched the seat, effectively ending the dominance of the “Saraki dynasty” over Kwara’s politics for the last 50 years. It is believed that many in the state were fed up with alleged lack of development in the north-western state, leading to the formation of the “O To Ge” movement, meaning “Enough is Enough”, which campaigned against him and the other candidates he sponsored and supported, who were all heavily defeated. A political godfather in the oil-rich state of Akwa Ibom, where he twice served as governor, Godswill Akpabio spectacularly lost his senate seat to his former colleague, PDP candidate Chris Ekpenyong. The campaign was bitter, violent and full of accusations and counter-accusations of fraud and manipulation. The trouble all stemmed from his political fallout with his “godson” Emmanuel Udom, his hand-picked successor and the state’s current governor. 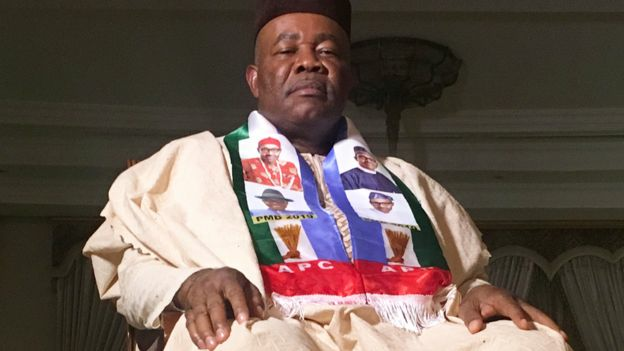 This forced the 56-year-old to defect to the APC, but it was a tactic that has seen him fall flat on his face – and the PDP has retained all the seats contested in the southern state. It is now almost certain that Mr Udom will retain the governorship come the state election on 9 March. 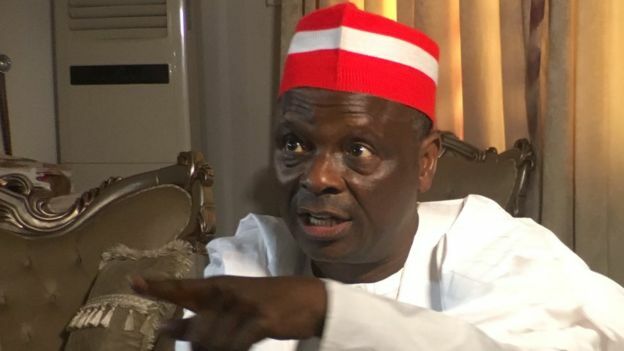 A current senator and two-time governor of the northern state of Kano, Rabiu Kwankwaso was not seeking re-election but all the candidates he was backing as a political godfather have lost. He has been a dominant figure in Nigeria’s most-populous state for the last two decades and his Kwankwasiyya political fan club has a large following not only in Kano but in other parts of northern Nigeria. It is his second blow in recent times – he tried to gain the PDP ticket last year to run for president, but lost out to Atiku Abubakar. The 62-year-old had defected to the PDP after falling out with his former ally and successor as governor Umar Ganduje. The 65-year-old APC politician has dominated life in the central state of Benue politics for 20 years. 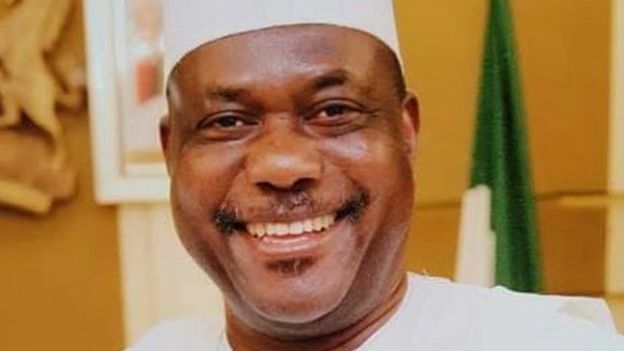 George Akume was first elected governor in 1999, moved to senate in 2007 and since then many of his hand-picked candidates have won major elections in the state. However, Saturday’s poll effectively brought his dominance to a humiliating end. His defeat has largely been attributed to his recent fallout with current Governor Samuel Ortom, whom he helped bring to power in 2015, and his decision to remain loyal to President Buhari amid worsening clashes between farmers and herders in the state. Herders tend to be mainly nomadic Fulani Muslims and farmers are largely Christian. 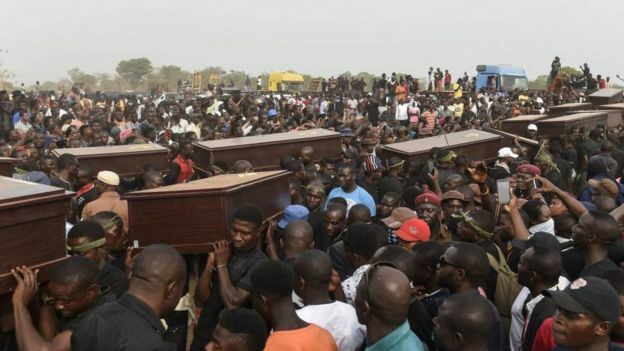 Many blame Mr Buhari, a Fulani Muslim, for not doing enough to resolve the conflict – although the president has always denied any bias in dealing with the situation. 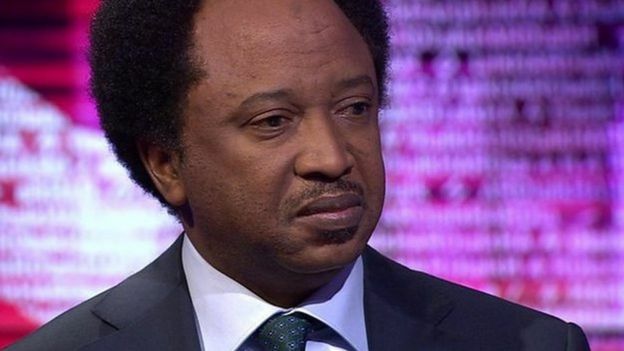 One of the most vocal critics of President Buhari’s policies, Shehu Sani has lost his senate seat to a candidate of the governing APC. The 51-year-old’s defeat may not come as a surprise given his long-standing rivalry with the current governor of the northern state of Kaduna, Nasir el-Rufa’i, even though they were in the same party at one stage. The two have often sparred over policies that descended into Twitter wars. The author, playwright and human rights activist – one of the few Nigerian politicians to declare his assets – was popular with his constituents but last October left the APC to join the little-known of People’s Redemption Party. Olubankole Wellington, known by his stage name Banky W, was trying to get a seat in the House of Representatives for the Eti-Osa contititency in Lagos. The 37-year-old rapper may have ultimately lost, but he did win at two polling units in the district, including the one where Vice-President Yemi Osinbajo voted. The controversial senator representing central Kogi state has defied the odds to comfortably defend his seat. 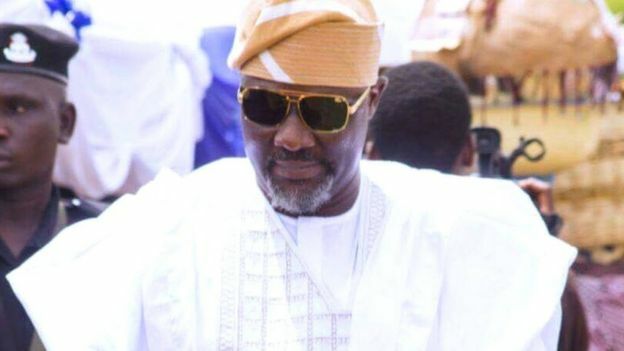 Nicknamed the “singing senator”, Dino Melaye has been embroiled in several legal and political battles with the police, the state government and the governing APC. The PDP politician has generated lots of attention because of his expensive lifestyle. 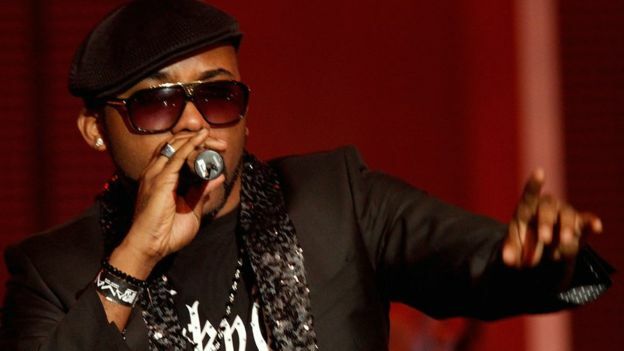 The 45-year-old was criticised for boasting about his ostentatious wealth during a cameo in a music video by Nigerian rapper Kach. But many see his re-election as testimony to the power of grassroots politics as his constituents have stood with him despite numerous scandals, just as they did when his opponents tried to get a petition to recall him last year. The 47-year-old is the only female senator from the north to be elected to the upper chamber of parliament. Even though Aishatu Binani ran for the governing APC, her victory came as a surprise because she was from the mainly Muslim north-eastern Adamawa State, the birthplace of the main opposition candidate, Mr Abubakar. The PDP won the state in the presidential vote but Ms Binani defied all expectations and comfortably defeated all her powerful male rivals. Her victory will serve as a relief for northern women after the only female senator in the outgoing parliament, Binta Garba, also from Adamawa, lost her re-election on an APC ticket. According to the UN, Nigeria has one of the lowest rates of female participation in parliament. The victory of this PDP candidate in Oyo is a major shock, especially for supporters of the governing APC in the south-western state. Kola Balogun’s victory has prevented the outgoing governor of the state, Abiola Ajimobi, from joining the league of ex-governors who traditionally move to the senate. It is not common in Nigerian politics to see incumbent governors losing elections. It is also Mr Balogun’s second return to the senate, having represented the district from 2004 to 2007. The 51-year-old was among several politician who dumped the governing APC party last year. 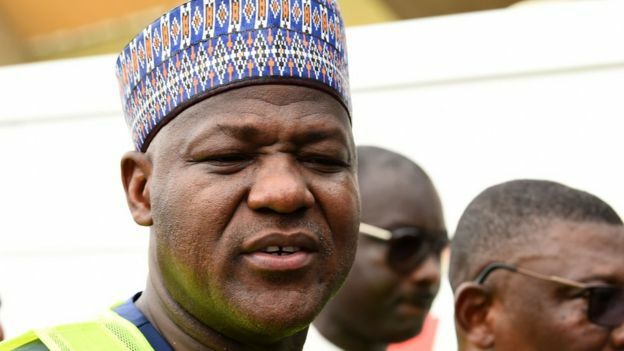 Many thought that move was going to cost Yakubu Dogara his seat because his home in the northern Bauchi State has been a stronghold of President Buhari. However, Mr Dogara, a Christian who has been representing the Bogoro/Dass/Tafawa Balewa constituency since 2007, survived his toughest political test to defeat the ruling party candidate. Many of his constituents are Christians, in the mainly Muslim state, but he also won support from an influential leader of the Tijaniyya Muslim sect. He will almost certainly lose his position as speaker in the national assembly, however, because the APC will pick one of its own MPs, but his victory was surely one of the most eye-catching.